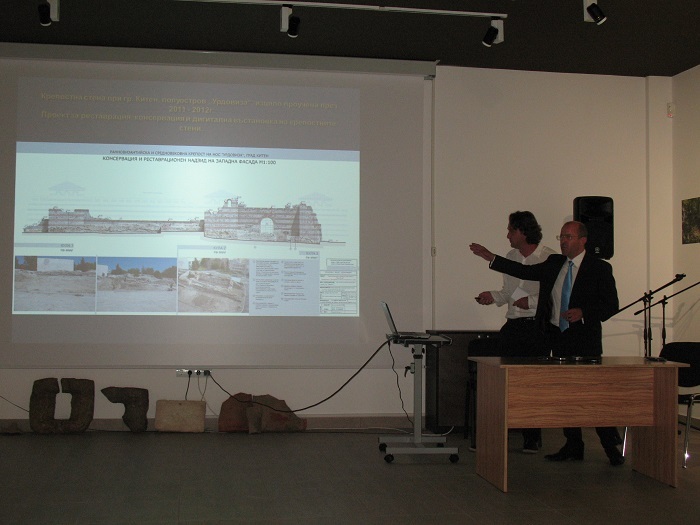 The results from the 2015 summer excavations of the Pharmakida Fortress have been presented at a news conference by Daniel Pantov, Director of the Primorsko Museum of History, and Primorsko Mayor Dimitar Germanov, Primorsko Municipality has announced. The Pharmakida Fortress had long remained concealed from the sight of the Bulgarian archaeologists because its ruins are located near the mouth of the Ropotamo River where it flows in the Black Sea, in Southeast Bulgaria’s subtropical forests. The precise location is 5 km northwest of the town of Primorsko, about 300 meters from the Ropotamo River. The Pharmakida Fortress dates back to the 2nd-1st century BC, and was the home of a Thracian ruler. During their digs over the summer, the archaeologists from Bulgaria’s National Museum of History in Sofia have found a total of 62 bronze coins and 5 silver coins as well as local and imported ceramics and other archaeological artifacts. The immediate excavations of the Pharmakida Fortress, which were funded by Primorsko Municipality, have excavated about one-third of its total area, which is about 7 decares (about 1.75 acres). Primorsko Municipality has high hopes for developing the Pharmakida Fortress as a cultural tourism site, including by attracting foreign tourists who make their summer vacations in Bulgaria’s largest Black Sea resorts, Sunny Beach and Nessebar. Primorsko already has one famous and well established cultural tourism destination – the Ancient Thracian shrine Beglik Tash, and now plans to work to combine it with Pharmakia to generate greater interest on part of potential visitors. “The fortress harbors great potential for attracting tourists, and we are already considering how to realize it. It is possible that it can also be accessed by water, and it can be lit up at night with lasers. We are also planning to build an amphitheater with a rich cultural program," Primorsko Mayor Dimitar Germanov has said. He has noted Pharmakida’s proximity to the main road between Primorsko and the Black Sea city of Burgas, meaning that it is also easily accessible for independent travelers. 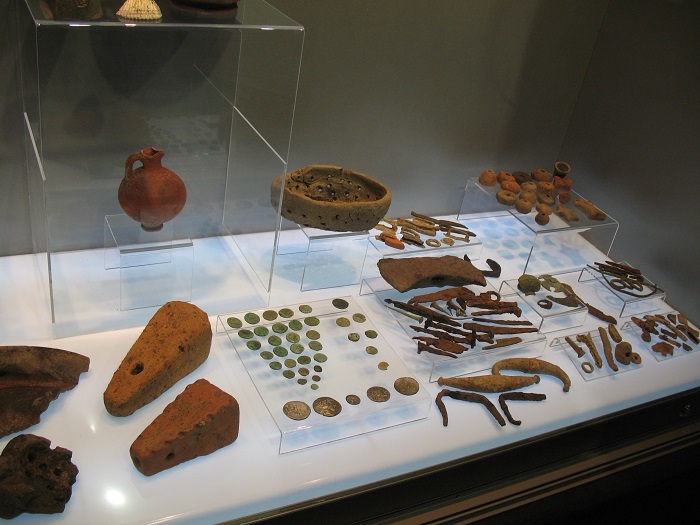 In early September 2015, Bulgaria’s National Museum of History announced the discovery of a treasure of ancient coins at the newly found Thracian fortress Pharmakida. These are silver and bronze coins of the Ancient Greek colony Apollonia Pontica, the predecessor of today’s Bulgarian Black Sea town of Sozopol, and coins of Macedon Emperor Alexander the Great (r. 336-323 BC) which, according to Bulgaria’s National Museum of History, were minted even long after his death “because [they were] in high demand". Based on the coins they have discovered, the archaeologists from Bulgaria’s National Museum of History have hypothesized that the Pharmakida Fortress was destroyed for good during the military campaign of Roman Republic general Marcus Lucullus (ca. 116 – ca. 56 BC) against King Mithridates VI of Pontus (r. 120 – 63 BC), ruler of the Kingdom of Pontus in Anatolia. The campaign occurred during the so called Third Mithridatic War (73 – 63 BC) in which Rome ultimately prevailed over the Pontic Kingdom (Pontus). The cities and the Ancient Thracians inhabiting what is today Bulgaria’s southern Black Sea coast were allies of Mithridates VI who sent to their aid forces led by commander Epithinchanonus. However, the Roman legions of Marcus Lucullus routed the forces of Pontus as well as the troops of Apollonia Pontica and the Thracians. Apollonia Pontica was razed to the ground. Judging by Pharmakida’s case, apparently the Thracian towns in the region had the same fate, concludes the National Museum of History in Sofia. It attributes the name Pharmakida, which means a “healer" in Ancient Greek, to an ancient cult for deities of healing and medicine.